These are reproductions of my original art printed on high-quality Canon Satin paper 260 gr. 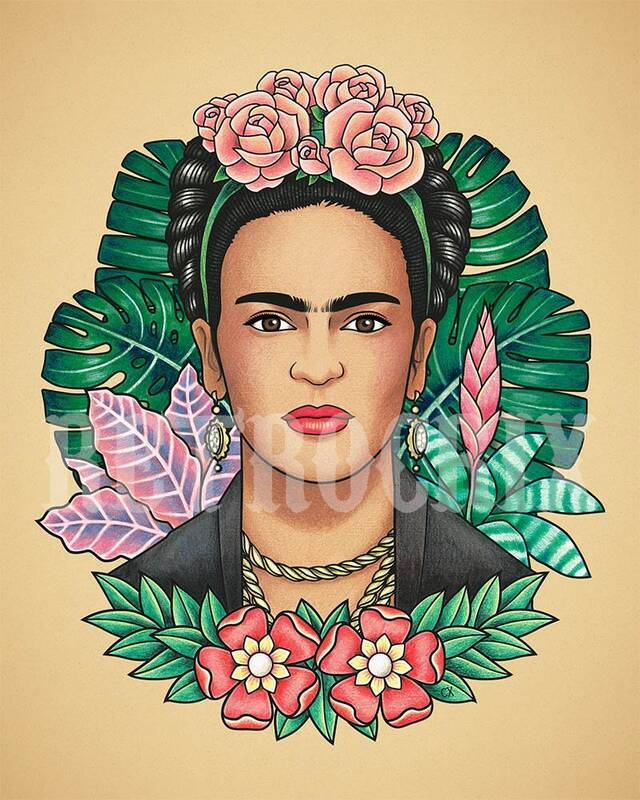 The original Illustrations are handmade with pencils on paper and are inspired by "Old School Tattoos". Each print is hand signed and dated on the back. The prints will be packaged in cello bags with backing boards. Please note that the colours may differ slightly from the monitor colours. The frame is only for display. If you want to order some other prints, please contact me for shipping services before ordering. This image is ONLY FOR PERSONAL USE. It can NOT be resold in any way. Sailboat Tattoo print. Old School Tattoo print. Tattoo print. Tattoo art. 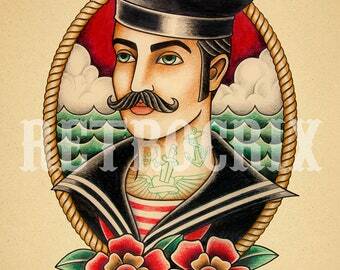 Anchor Tattoo print. Old School Tattoo print. Tattoo print. Tattoo art. 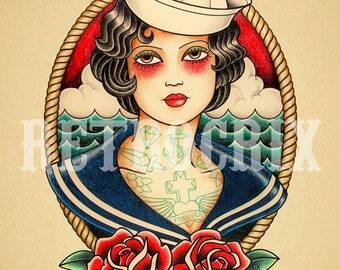 Sailor Tattoo print. Old School Tattoo print. Tattoo print. Tattoo art. Mother Love Tattoo print. Old School Tattoo print. Tattoo print. Tattoo art. Jimi Hendrix tattoo print. Old School Tattoo print. Tattoo print. Tattoo art. Mermaid Tattoo print. Old School Tattoo. Tattoo print. Tattoo art. 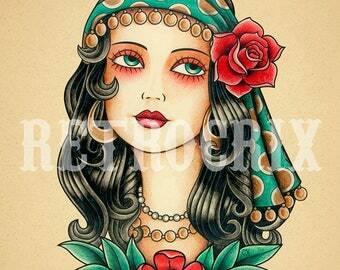 Gypsy Woman Tattoo print. Old School Tattoo print. Tattoo print. Tattoo art. Nina Simone Tattoo print. Old School Tattoo print. Tattoo print. tattoo art. Koi Tattoo print. Carp tattoo print. Old School Tattoo print. Tattoo print. Tattoo art. Black Panther Tattoo print. Old School Tattoo print. Tattoo print. Tattoo art. Vintage woman print. Old School Tattoo print. 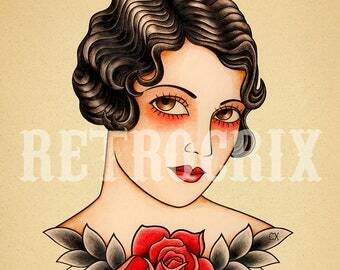 Pin up tattoo print. Tattoo print. Tattoo art. Sailor girl print. Old School Tattoo print. Pin up tattoo print. Tattoo print. Tattoo art.